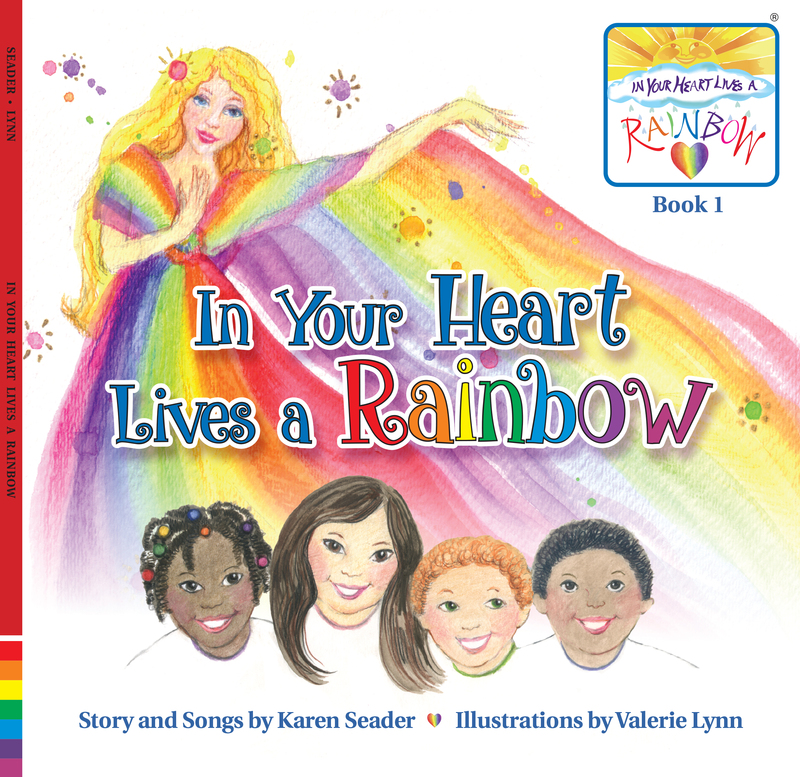 Karen Seader, The Lady of the Rainbow®, has been a children’s entertainer for over 20 years. She has worked with more than 50,000 children in over 3,000 interactive shows performed at schools, libraries, camps, parties, organizations, and community events. Her expertise is in motivating children to be their best selves and to reach out to others with kindness and respect. 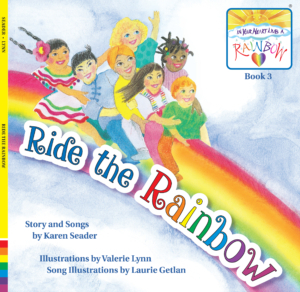 Using her original songs, magical stories, movement, dance, musical instruments, colorful props, and dazzling lights, Karen captivates her audience and gives them a joyous and memorable experience! 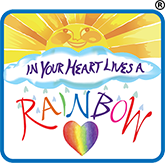 Hailey and Logan (big sister and brother) are delighted to meet The Lady of the Rainbow in a magical dream. 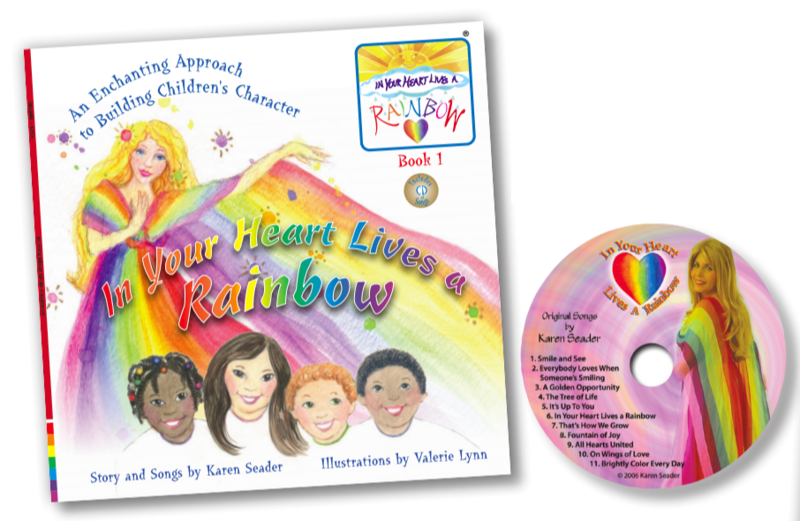 Inspired by her message and songs, upon awakening, a series of events occur where the children discover the power of smiling, being kind, and believing in yourself. 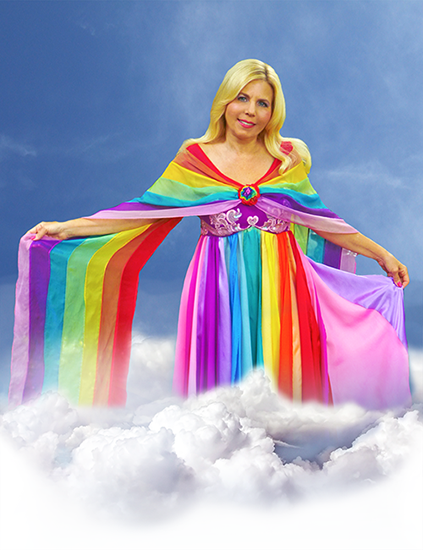 The Lady of the Rainbow introduces “The Colors of Love” — Be Kind, Care, Give, Share, Respect, Enjoy, Appreciate. These qualities are highlighted in Hailey and Logan’s activities at home, at school, and during a visit to their grandparents. 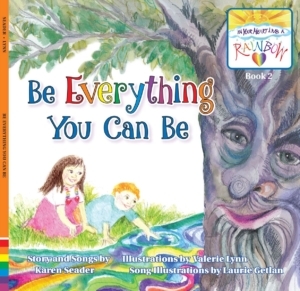 Jilly the Rainbow Fairy uses laughter and fun to help motivate the children to be their best. 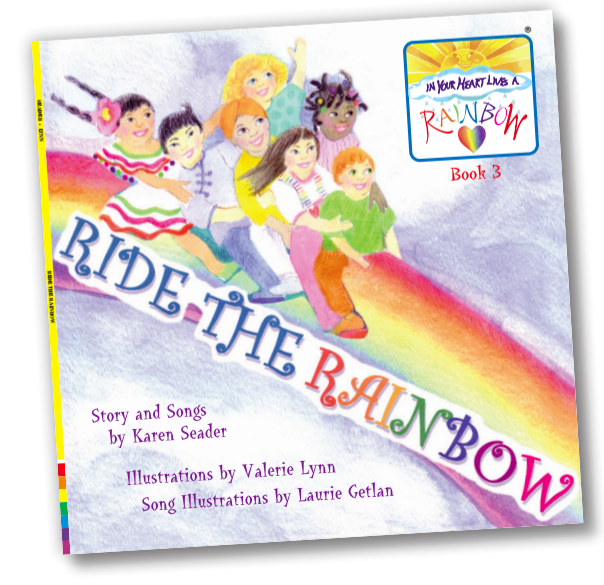 Hailey, Logan, and their friends from around the world go on a flight of fantasy on an ever changing rainbow. 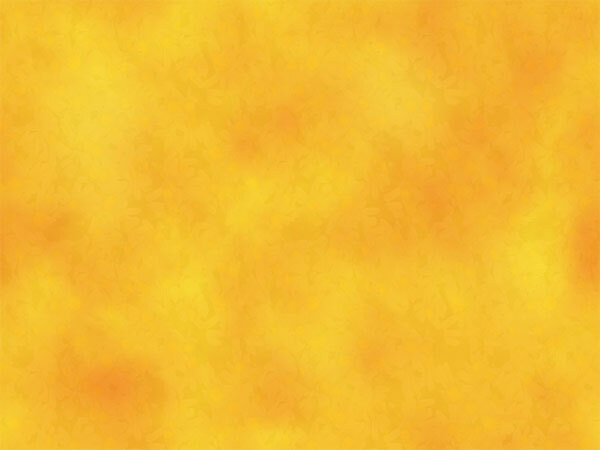 They learn that even though the world is very large, we are really just one big family. 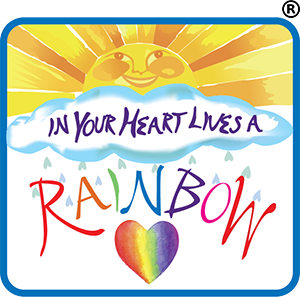 The story focuses on giving, sharing, and spreading happiness to one another.